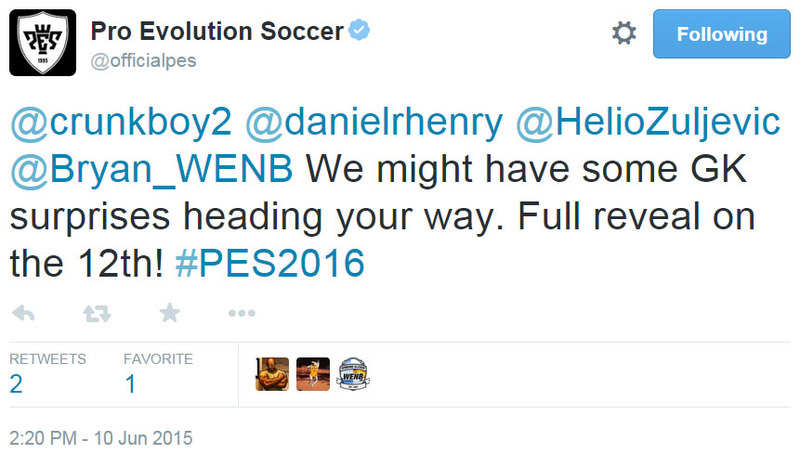 The first bit of PES 2016 info will be revealed by Konami today! 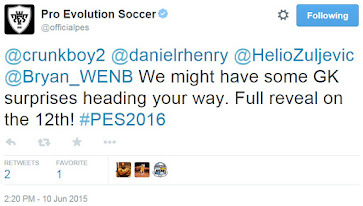 In a series of tweets, Adam Bhatti and the official Pro Evolution Soccer Twitter account have hinted that some Pro Evolution Soccer 2016 news will be released later today. The first PES 2016 news are expected to hit at 1PM GMT (3PM CET), which is less than half an hour away. Thanks to Konami's Twitter, we also know that the PES 2016 news, or at least some of it, will be about goalkeepers. The PES 2016 Full Reveal will be on June 12, while the game will also playable at this year's E3 a bit later this month. Stay tuned for more info to follow shortly.